Cool! You can Explore the Batcave in Google Street View! Batman’s Batcave is open to virtual tourists! 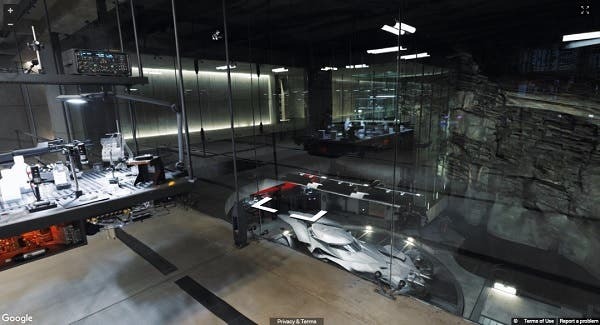 If you’ve been checking google’s street view in the past few days, you’s already known that you can take a virtual tour through the Batcave in Batman V Superman: Dawn of Justice. But if you haven’t, now’s your chance! The cave isn’t big, but you can see a lot of cool stuff in there like the Batmobile and Batman’s unfinished suit of armor that he wears against Superman. Despite mixed reviews of rather harsh critics for the film, it has topped the box office charts. If you’re a big Batman fan, you’d want to check out the Batcave at google street view; too bad Ben Affleck isn’t giving the tour, though. Have you seen the Batcave yet? what do you think is missing? A typical "otaku" who loves to play games and watch anime. An adventurer who loves the outdoors and discovering new things. Hobbisty photo artist. A businessman by day, a writer by night. His dream: to be able to do what he loves, and watch others do the same. OMG: SELENA GOMEZ Is Coming To Manila!!! !